History of Boundless Playgrounds | Right To Play, Inc.
As a young woman, Amy Jaffe Barzach was distressed as she watched a little girl in a wheelchair crying because she couldn’t join the other children playing at the local playground. Shortly thereafter, Amy’s second child, baby Jonathan, was diagnosed with spinal muscular atrophy. Jonathan passed away at the age of 9 months. She realized that if Jonathan had lived longer he would have been in a wheelchair, and she remembered the little girl crying because she could not join the others at the playground. As a way to deal with her grief and honor Jonathan, Amy and Peter Barzach founded Jonathan’s Dream, a playground that would allow children and adults, with and without disabilities, to “laugh, play and grow together.”1 Unknowingly, they also began a new movement in playgrounds. Through the experience of developing Jonathan’s Dream, a 25,000 square foot, wheelchair-friendly playground in West Hartford, Connecticut, the Barzachs learned about the playground industry, the desires of all children for play, the realities of fund raising, and the generosity of over 1200 volunteers. It wasn’t until the playground was finished that they realized the ADA compliant playground did not meet the needs of children with disabilities. Thus, Boundless Playgrounds began, and Jean developed new barrier-free play components and designed inclusive play environments where all children could play together. Amy advised concerning community organizing, volunteer recruitment, fund raising, and project management. Many of the early lessons with Jonathan’s Dream shaped the non-profit Boundless Playgrounds’ structure and mission. Among these were the realization that parents and communities need assistance with volunteers and fund raising, that the children need to be part of the design process, and that typical playground designs and surfacing need to be rethought with children’s play needs in mind, not focusing on their disability. Public awareness of Boundless Playgrounds’ mission to create a truly accessible and integrated playground within reach of every child started with the video documentation of the creating of Jonathan’s Dream. Visual Concepts, a multimedia production company, created this video that was then used for inspiring future playground projects and for establishing support from foundations, corporations, and state governments. Later, in 2000, another video produced by EZ New Media would further spread the concept of fully accessible playgrounds. Amy was recognized by the National Recreation and Park Association (NRPA), which was a boost for public awareness. In 1997, she was given the R.O.S.E. (Recognition Of Significant Efforts) award for going the extra mile. This recognition brought the vision and assistance of Bernie Jacques, a lawyer who urged Amy to develop a national non-profit organization, and thus greatly expand Boundless Playgrounds’ reach. With HCF’s backing, Boundless Playgrounds as a national, nonprofit organization was then a reality. Besides establishing a general Board of Directors, Boundless Playgrounds was also set up with a Strategic Board to address the project management resources, which included fund raising and volunteer support, an Academic Board to gather experts on design and awareness of specific developmental needs, and a Junior Advisory Board for a continued source of input from children with all abilities. As word spread of Boundless Playgrounds’ support, parents and communities flooded them with questions and requests for assistance. By 1999 they were working with over 70 communities and had already assisted with 36 playground projects in 12 states, all through grants from foundations. At the end of 1999, the state of Maryland, under the leadership of Mark Shriver, a state delegate, and the support of Governor Parris N. Glendening, offered a $1 million initiative to build 10-12 playgrounds throughout the state, if Boundless Playgrounds could come up with $250,000 from the private sector. Besides the project management and funding resources, Boundless Playgrounds was also a resource for rethinking equipment and site designs, and thus raised the standard of accessibility in the industry. When creating Jonathan’s Dream, the Barzachs turned to Learning Structures, a company that did quality custom designs and extensively worked with the Community Built Association. Christopher “Kit” Clews and his team were invaluable in creating the innovative designs that came out of Amy’s “Dreaming & Design” Parties. Unique about Boundless Playgrounds’ approach was that the accessible designs were integral in the design and not an afterthought adaptation. It was rather a new approach instead of a minor modification. Unique also was the inclusion of all generations. Adult-sized wheelchairs were also to be accommodated so that parents and grandparents with limited mobility could also play with their children and grandchildren. Boundless Playgrounds never manufactured any playground equipment but partnered with PlayCore, Inc. 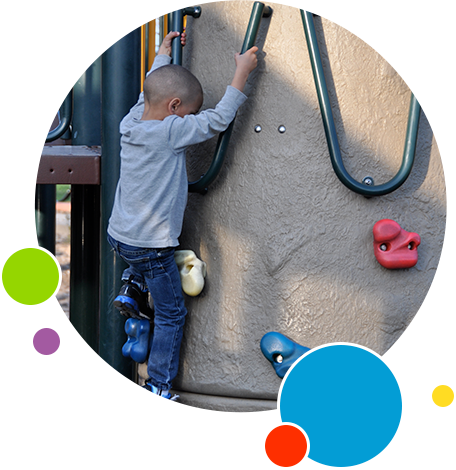 In order to qualify for Boundless Playgrounds’ assistance in securing grants, one of PlayCore, Inc.’s preferred vendors, GameTime or Play & Park Structures, was required to be utilized. By the end of 2009, Boundless Playgrounds had helped build 190 playgrounds. They had participated in three “Extreme Makeover: Home Edition” projects and partnered with Lyons Family of Sudbury, Massachusetts, to build Lyon’s Pride – A Boundless Playground, which won the 2009 Best Designed Park award by the Massachusetts Recreation and Park Association. Boundless Playgrounds also joined with Pratt & Whitney, a leader in design, manufacture and service of aircraft engines, to build an inclusive airplane playground in Glastonbury, Connecticut.